Been away all week, I miss my wife. 5 WODs later, and its almost time to do it all again. Monday through Friday were a bit of a blur, to be honest. Heading to Texas in the AM, moving next weekend. I better get used to weeks that blur. Weds: Griff in around 10 minutes, not exactly sure. Fri: Combat Fitness Tes; 800m run, max 30 lb ammo can presses in 2 min, manuever under fire course... owie. Traded in my Charger for a Ridgeline. Saturday: Spoons breakfast, the greasy spoon with flapjacks and coffee--yum. Karen, as RX'ed = 150 x 20lb wallball shots at a 10 ft target. Today's WOD is Karen, no reason not to rock it out. ..and now, the rest of the week wrap up. Friday I had a day of ground fighting with the Marines. 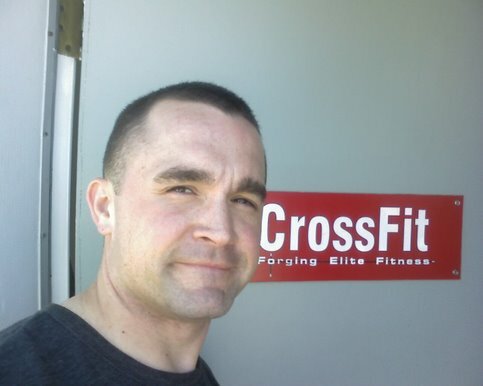 It was a really good day actuall, pre-movement drills, combat fitness test practice, review of both arm-bars then a good 30 minutes of ground fighting. After the Co PT I hit the heavybag for 10 minutes and did a short WOD. 75 power cleans w/75lbs in 10:45. Not quite a 'Randy' but close. Cooled down on the heavy bag also for another 10 minutes. And that catches me up.